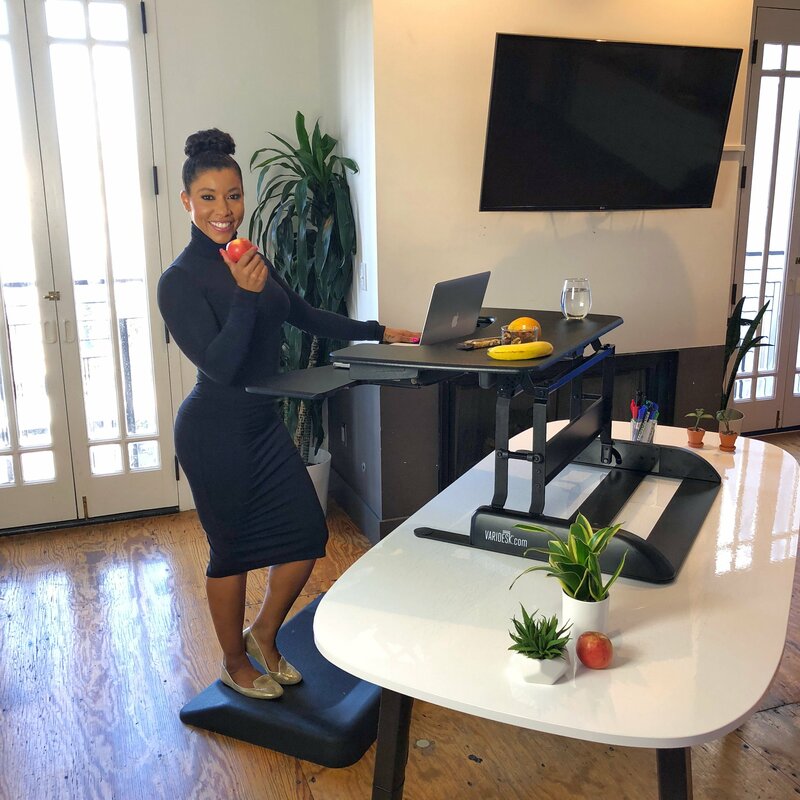 I’ve teamed up with VARIDESK because I absolutely love the ability to turn your office into an active office. I enjoy having the option to stand at my desk for part of my work day so I can work on my postural muscles and stretch my hips and lower back. 1. Increase your calorie output per day/per week/ per year. On average, you can burn an extra 130 calories per 8 hour workday by replacing 4 hours of sitting with 4 hours of standing. That’s equivalent to running a 10K every week, or 11 marathons in a year. An object in motion wants to stay in motion. An object at rest wants to stay at rest. But major medical research has demonstrated that if the human body stays at rest too often, it may lead to serious health risks. 2. Make your workout count. 3. Decrease the risk of overuse injuries from sitting for long hours. Sitting all day can lead to a list of problems including increased risk of overuse injuries like shortened hip flexors and hamstrings, tightness in the lower back, slower metabolism, and increased risk of illness, just to name a few. 4. 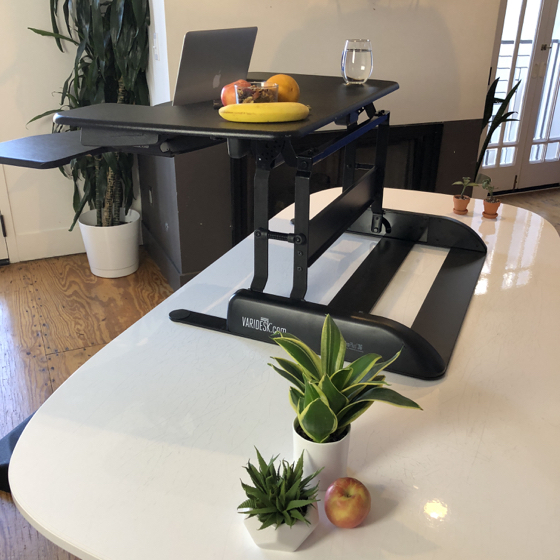 VARIDESK reminds you to be active & healthy. -Having water and healthy snacks at your desk.